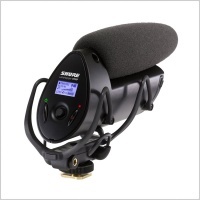 An ultra-compact shotgun microphone, the Shure VP83 provides an all-in-one solution for capturing detailed, high-definition audio with DSLR cameras and camcorders. Easily accessible controls for low-cut filter and three-position gain enable adjustments for different recording environments. Three-position gain switch (-10 dB pad, 0, +20 dB boost) to compensate for different recording environments. Low-cut filter switch to eliminate distracting background noise and room ambience (also controls on / off function). 125 Hours of battery life from 1 AA alkaline battery (included). 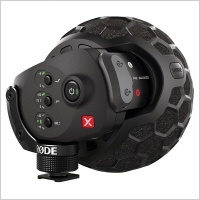 Integrated Rycote® Lyre® shock mounting system provides superior isolation from vibration and mechanical noise through its customized, robust design exclusively developed with Rycote® for the VP83 model. Ultra-lightweight yet durable, all-metal construction designed to legendary Shure quality standards. 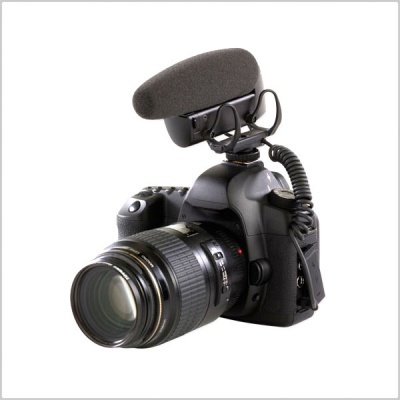 Integrated 3.5 mm audio cable for quick connection to camera or recording device. Standard-size shoe mount with a 1/4" threaded base for either on-camera use or easy mounting on a stand. 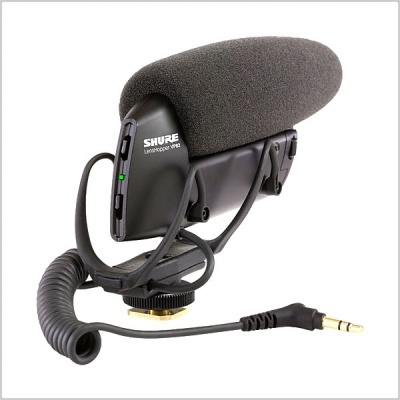 Includes foam windscreen to reduce unwanted wind noise without affecting sound quality. Rycote Windjammer® accessory available separately.